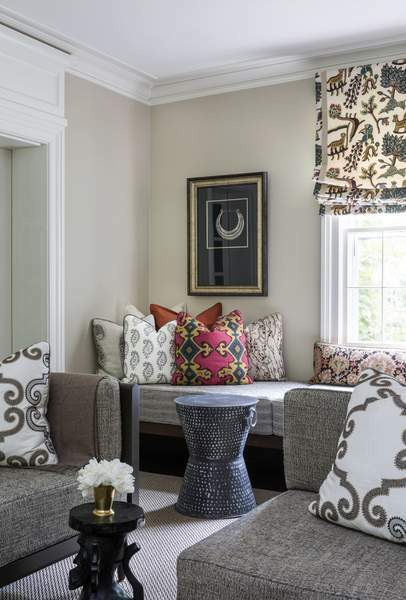 Associated Press Among the design trends emerging for this year are patterned fabrics which can be paired together. We've asked Beldock and two other interior designers – Washington D.C.-based Marika Meyer and New Yorker Dan Mazzarini – for details on what we'll see in home design in the coming year. In response, we're seeing “a temporary pause on oversized things,” he says, as people feel like nesting. Although many patterns incorporate a mix of colors, expect to see plenty of rich shades of green in fabric and wallpaper patterns. While blues and indigos have been huge in recent years, Meyer says that in 2019 “green is the new blue.” It's likely to be used in everything from upholstery patterns to kitchen furnishings. Meyer agrees: “More and more clients say to me they're interested in a beautiful wood antique chest,” she says.